It is a time where magic is more powerful than science, when evil Darkling Lords battle Heroic Spectral Knights! For those who control the magic, control destiny! I can’t speak for everybody but I know I want to see Visionaries on the HUB and a new updated toy-line to back it up. Come on, who does not want a totem power that reflects their personality, temporarily transforming you into that animal! Mine would be a Duck! If you want to see Visionaries again, Sound off on the ToyArk forums by clicking the Title Bar. I think I was one of the 5 people who collected these as a kid. Hasbro show Visionaries some love and put it back on the HUB! I think I had a couple, but they couldn't hold a candle to Transformers, GI Joe and He-Man as far as my younger self was concerned. Looking back, it's definitely one of those underrated properties that could a good revival. I'd even settle for only reruns of the show to spark interest. I also know that our very own DL2W is a MOC collector of the line, so he might be down for some modern versions, too. 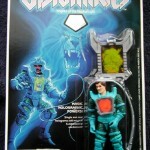 Visionaries is one of those lines I wanted as a kid but couldn't get any. Now that I'm older they're pretty amazing! I loved the show and imho was a show worthy of being shown after Super Sunday and Inhumanoids. The HUB should bring back Super Sunday along with Visionaries. 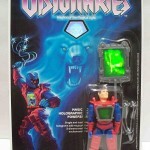 I would love to see an updated Visionaries cartoon and toys. This was one of my favorite series as a child. Too bad it was cancelled prematurely. By what creeps and crawls and what does not, bring on some visionaries. I started a thread about them awhile back. Until HUB acts right, I'm glad I have all 13 episodes of the cartoon on DVD! I think Hasbro has a gold mine with a modern version of these toys! Their were 12 characters, 4 Vehicles and 3 characters from the cartoon that were never produced. Visionairies I'd love to see re-ran on the Hub. I'd also love to see a modernized take on it that expands on what the first started. The other property I'd love to see this done to is Inhumanoids. I just wish I could watch the Hub channel. Then I would want a Visionaries cartoon on The Hub. Visionaries were great. I remember how cool it was to have a creature come out of a shield to fight. The toys were cool too. I remember having a couple of the villains from this show... 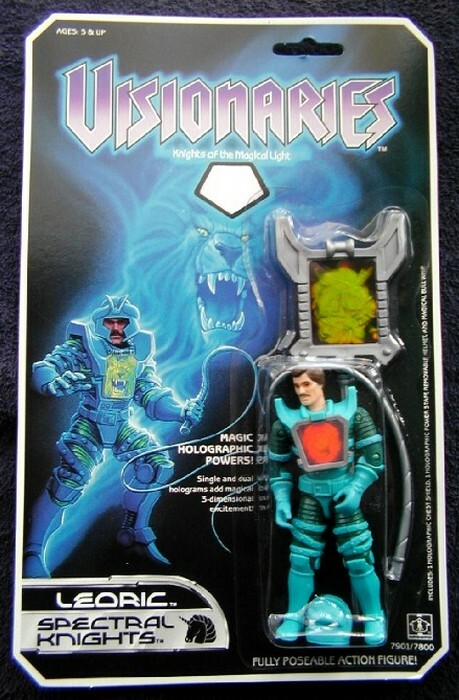 Such a simple gimmick with the holograms, but they were very cool characters... If they can find a way to bring the toyline into the 21st century, I would love to see new figures! A cgi show would also be awesome for this line. If done right, it could really be incredible. I still have a few pieces of mine if any one is interested. But, yeah it would be great since most of mine are not in tip top shape, they could easily use some re-tooled Gi-Joe bodies, with flexible crests that come off the top chest piece. I had forgot who even made them. 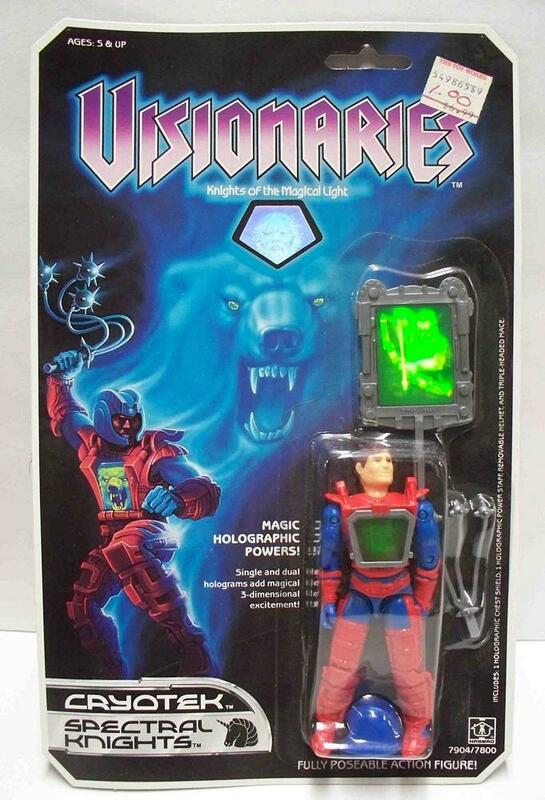 Visionaries was and still is an awesome toy line and cartoon series, I loved both as a kid and still do. when evil Darkling Lords battle heroic Spectral Knights! THE VISIONARIES - Knights of the Magical Light. This was before the internet when your watching Sat Morning toons as a kid a suddenly this new show just pops up.....I was hooked!!!! I had one of these, the good guy leader who came with a whip. I remember watching the cartoon too.